Becoming a letting agent is a career worth pursuing. But it requires a certain skill set and some training in order to be succesful at it. Being able to communicate effectively will be an important skill to have. Letting agents have to deal with people on a regular basis. They need to be able to communicate with their clients as well as tenants. One of the responsibilities will be interviewing and screening prospective clients. One of the way the letting agent can really determine if they may be a suitable tenant is to listen to them carefully during their interview. These are skills that can be developed through various courses. The Letting agent is going to have to use different forms of media to attract tenants. This professional has to learn the marketing resources then be able to write effective ad copy. The goal is to attract the right tenants while keeping the marketing costs under control. 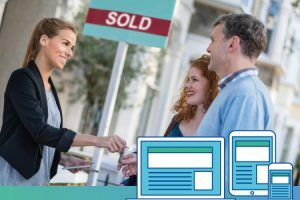 The Letting Agent has many different tasks to fullfill. In order to be effective at time management they have to be organized. There is administrative work involved in this profession which requires it to be kept in an orderly fashion. The individual that takes on this job has to be able to work under their own initiative. They have to make the decisions that are going to brng them the success at renting the properties that have been assigned to them. Aside from the skill requirements there are also some qualifications that are going to help the Letting agent get established. There are dfferent educational institutions that will offer the training for this. At the very least one will want the Leve 2 Certificate in Property. They can go on from here and get the Level Diploma in property and the Level 3 Technical Award in Residential Letting and Property Management. Then there s also a Level 4 certification.